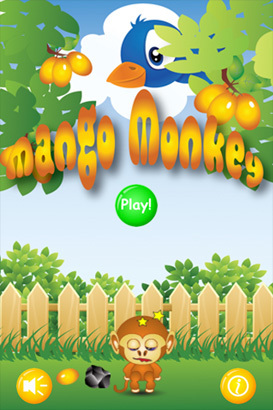 A crazy arcade-style game of catch and avoid with a cute little monkey who just loves to collect as many mangos as he can get his greedy little hands on – with your help –and as long as he can avoid the stones dropped by the dive-bombing blue bird of madness! 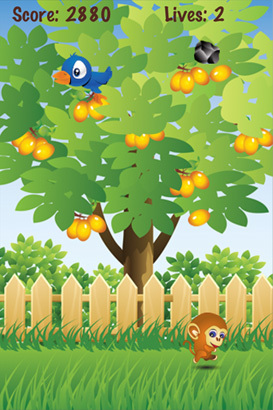 See how many mangos you can get, adding to your points, before your MangoMonkey gets concussion. 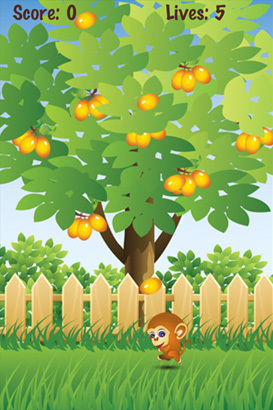 Oh, and watch out for the magical coloured mangos – they pack a few surprises!